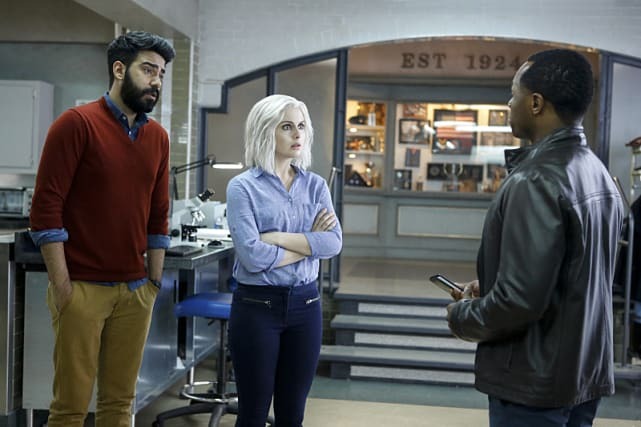 iZombie Photos from "He Blinded Me With Science"
With Major's secret nearly exposed, it is interesting to see Liv chatting it up at the Max Rager offices. What is even more intriguing is the way she looks. Is it the zombie cure or just a great wig and some killer make-up skills? 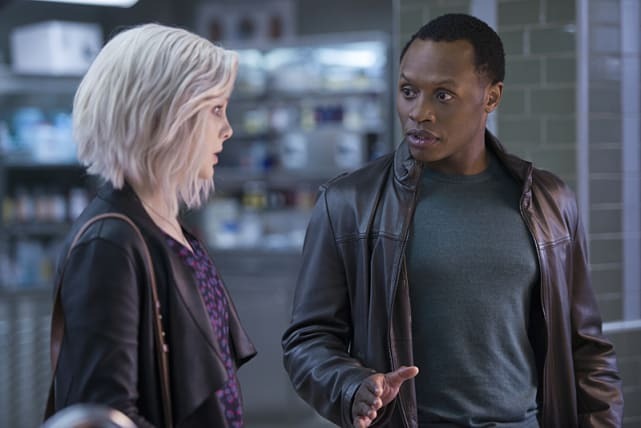 The episode's title "He Blinded Me With Science" suggests that Liv may have taken the cure! If not, let's just hope her venture into Max Rager opens the door into a permanent cure for Major and Blaine but we'd settle for another punch in Gilda's face. 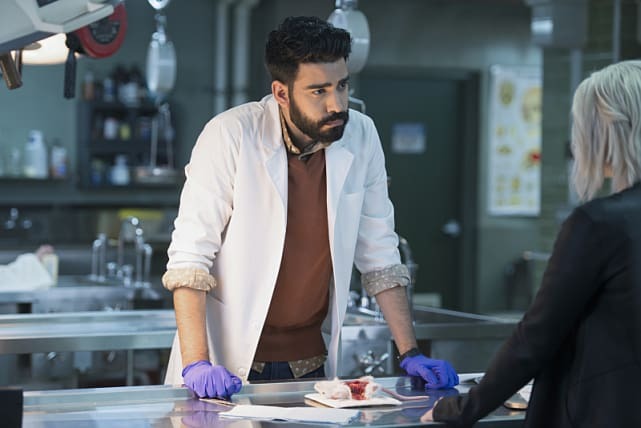 Scroll through the photos slideshow and watch iZombie online to get your zombie fix! Liv helps Clive with her eternally sunny mind. Must be something she ate. It's hard to be optimistic about the zombie cure when all of the rats keep dying. If anyone can figure it out it's the hottest doc in the morgue! Clive is always business in the morgue but looks even more intense than usual. Is that even possible? 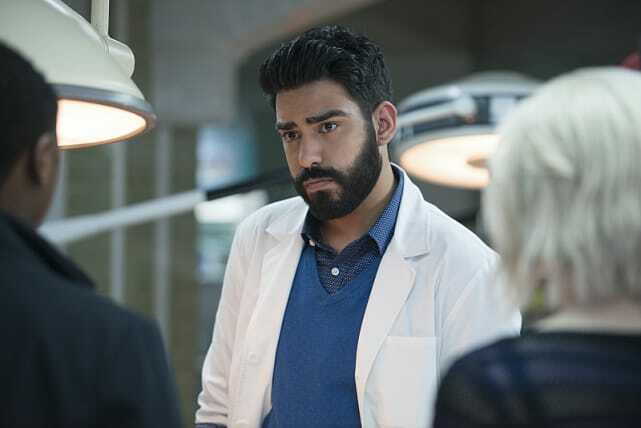 Something isn't quite right and Ravi knows it. Will he find out that his best friend and roomie is a zombie hunter? That's never an easy conversation. 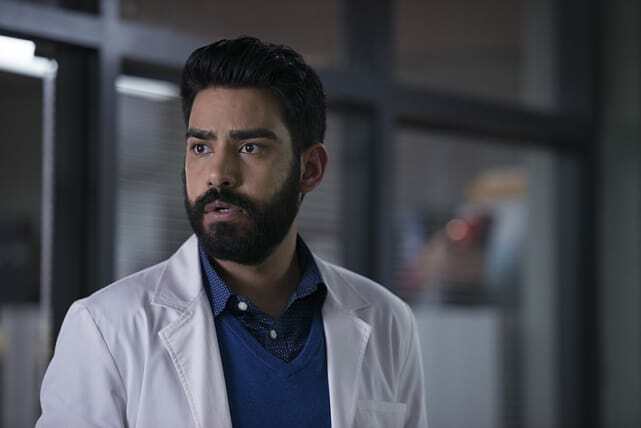 Not many people could look this good in a lab coat, but Ravi always looks a little too gorgeous for words.